At Bamford Academy we work hard to ensure children are capable in all areas of mathematics. We are focusing more and more on the strength of mental understanding and recall. Alongside knowing multiplication and division facts we have in place a passport system. This systems tracks and tests childrens progress through from simple number bonds to division with remainders and beyond. We complete all these steps in the passports because they provide us with the skills to perform higher level tasks further on in school. 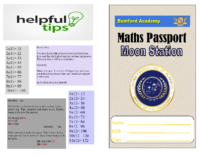 We have recently added a space program within the passports to extend the ability of all pupils. By helping your child at home with these targets they will grow significanty in confidence. They will also gain understanding of future more complex tasks as they are broken down. If you have any questions about the passports please send us a message. Europe – Counting and understanding the formation on the number system to 10. One more than and one less than leads onto addition and subtract at later stages. Asia – Counting in multiples. Understaning that sequences of numbers have patterns and we can predict them. Doubling and number bonds help with RAPA CODA NUMBO in year 2+. It also helps greatly to form number bonds to 20 and 100. Africa – The start of multiplication tables and should be finished by the end of Year 2. The facts and how we learn them informs how we learn all of our tables. Doubling is reversed and we begin halving, later in school these will be used in multiplication of larger numbers like 24×24. Australasia – Progressing with our multiplication facts into 3,4,6 and 8 but using the exact same methods to learn them. Numberbonds from previous passports develops to allow bonds to 100. North America – We use our process to learn the remaining tables to 10. Through extension of our doubling and halving, we complete them to 100. South America – A continuation of North America where children begin to focus on decimals in doubling and halving. Globetrotters – Using our known table facts and how to multiply by 10 and 100. We make links and these are a great aid in multiplying 3 digit numbers in a compact method. Moon – Continuing tables to 12. Using what we know about numberbonds to manipulate and calculate quickly. Division knowledge is used for remainders. 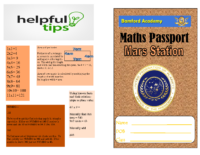 Mars – Building higher level skills and application of everything we have done for more complex maths. Multiplication facts for area and perimiter using formulas. Using 2 facts to then find number bonds. 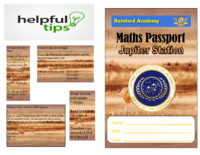 Jupiter – Applying our knowledge to fractions, decimals and percentages.